New research in the area of circadian biology has proven that a healthy circadian rhythm, and especially a healthy melatonin level, has a positive impact on health. Over the last 20 years numerous clinical studies have tested and proven the therapeutic use of melatonin in different medical fields and that the use of this hormone can be an effective treatment for a variety of illnesses. In the future there will be even more research conducted about the variety of possible uses for melatonin, especially in connection with other traditional treatments, either to increase their therapeutic effectiveness or to reduce their toxicity. In this way, melatonin can be used either as an active substance or as a time indicator to help steer the circadian rhythm. The enterochromaffin cells (neuroendocrine cells which are located in the epithelial tissue of the intestinal tract) of the digestive system produce 400 times more melatonin as the pineal gland. However, most of the melatonin produced here is not released into the blood, but is rather primarily used directly on-site. Even though the exact function of melatonin in the digestive system is not yet known, the hormone has a protective function against the development of ulcers in the stomach lining due to its antioxidant properties. Whether receptor-conveyed effect mechanisms play a role is currently still being thoroughly examined. Many hormones that are connected with eating behavior and digestion, such as ghrelin, insulin and leptin, are regularly released at highly specific times in a cyclical manner over a period of 24 hours. If no light is available over a longer period of time, then these hormone cycles are discontinued. Instead of releasing hormones in a cyclical manner, for example while a person is awake and has to eat, the hormones are now released at random. Since these hormones can be harmful without food present in the digestive tract, as they cause additional production of stomach acid. It can be deducted that this can be a root cause of many digestive illnesses and eating disorders. The lack of hormonal regulation together with the changing cycles of autonomous activities can lead to digestive disruptions. In the case of gastroesophageal reflux disease, where an improperly increased amount of stomach acid is pushed into the esophagus, melatonin can actually reduce the oxidized DNA damage of the mucous membrane. Additionally, the hormone can serve as protection of the stomach lining against health-threatening agents such as salicylates (found in food and pain medication), and/or helicopter bacteria. Irritable bowel syndrome (IBS) is characterized by unexplained stomach pain, gas associated with changes in bowel movements such as constipation or diarrhea, as well as general discomfort. In this case, melatonin can help through regulating the motility and sensitivity of the digestive tract. Different studies have shown that melatonin has a positive effect in the treatment of irritable bowel syndrome by, among other things, reducing stomach and rectal pain and decreasing the associated sleep disturbances. 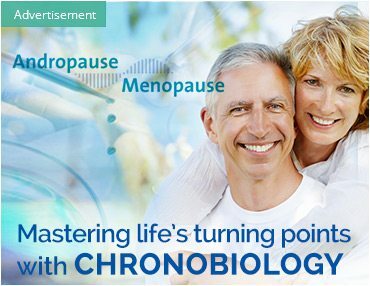 In addition, new studies have demonstrated that the hormone could also play an important role with the health of the intestinal flora and its circadian rhythm. Digestive bacteria possess their own circadian rhythm, which also influences our functionality. More and more studies are indicating that these microbes are extremely important for human health and that even a small imbalance can cause a disturbance. It is exactly this rhythm of digestive bacteria that is synchronized with the circadian processes of our bodies with the help of melatonin. This includes a number of chronic inflammatory illnesses such as ulcerative colitis (chronic inflammation of the colon), and Crohn’s disease. Different studies have shown that melatonin is an important regulator of inflammation, as well as mobility of the gastrointestinal tract, which points to the fact that supplemental melatonin may have a positive effect on colon inflammation. Due to its antioxidant effect against harmful cholesterol deposits, melatonin can protect both the heart and blood vessels. The hormone reduces other stress hormones, lowers blood pressure and achieve a positive impact on the cardiovascular system. Melatonin can be useful in the reduction of heart hypertrophy and lower the frequency of heart attacks. The hormone also acts as an opponent of free radicals which attack the heart muscle. Since melatonin possesses anti- inflammatory properties, it can also be used effectively in the treatment of arteriosclerosis. Several invitro studies have shown that melatonin is efficient in the inhibition of LDL oxidation, which is one of the main causes for the development of arteriosclerosis. High blood pressure belongs to the diseases prevalent in Western industrialized countries. In hypertension the pressure in the vessels is increased in order to make sure that sufficient blood can still travel through restricted blood vessels. However, this high pressure encourages more vessel restriction and/or the breaking off of existing blood clots, which can lead to stroke, heart attack and other blood vessel illnesses. Melatonin has proven helpful in regulation blood pressure. Studies have been able to prove that taking melatonin orally can lower high blood pressure, as well as vascular reactivity. This is the result of the fact that melatonin has a relaxing effect on blood vessels and acts as a potent radical catcher, as free radicals have a negative impact on blood pressure. Nevertheless, the exact mechanisms of melatonin with regard to blood pressure are still not known today. Both heart attack and stroke deal with an acute vessel occlusion, so that the tissues that are supplied by that vessel are starved of oxygen and damaged. The main goal of therapy is to restore blood and oxygen supply as quickly as possible. As soon as the life-giving oxygen supply is restored, the already damaged tissue is susceptible to further oxidative damages due to the flood of oxygen that is arriving. To be more specific, these secondary damages can be reduced or even prevented entirely through a simultaneous higher dose of melatonin. Preliminary studies demonstrate that melatonin can significantly reduce the extent of cell damage in these situations. Diabetes is a widespread illness that especially targets the elderly. Scientists suspect that a mutation in the gene for the melatonin receptor MT2 disturbs the connection between the inner clock and the release of insulin. This can lead to abnormal blood sugar values and ultimately to diabetes. About one third of humans possess a somewhat altered version of this melatonin receptor, which can be found on the cell membranes of beta cells in the pancreas. Beta cells in the pancreas are responsible for releasing insulin. If melatonin binds itself to the receptors of these cells, then the release is slowed down. However, the slightly-mutated version of the beta cells react to melatonin by increasing the number of receptors. This magnifies the effect that melatonin has on the cells, which causes hypoglycemia and other pre-diabetic conditions. When humans with this gene variation work and eat at night while their melatonin levels are high, then they have higher blood sugar levels that increase the risk to develop diabetes and other endocrine illnesses. Different studies have shown that melatonin may impact insulin secretion and glucose homeostasis. Cell experiments have led to the finding that the hormone suppresses the release of insulin in the beta cells of the pancreas. Rats that had a tendency towards Type 2 Diabetes were protected against hyperlipidemia and hyperglycemia through the use of melatonin. There was an improvement in insulin resistance as well as in the glucose metabolism in mice. In a random double-blind study with 22 post-menopausal women, it was discovered that melatonin improves glucose tolerance and insulin sensitivity in older women. A different study found that melatonin is an effective antioxidant to improve the effectiveness of oral antidiabetics. 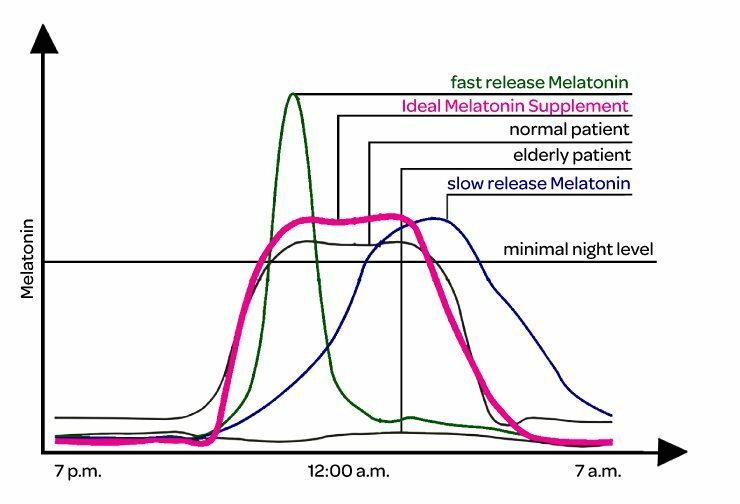 Keeping in mind that the nighttime melatonin level is especially low among the elderly, then it is clear why exactly this group of people has a heightened risk for diabetes since melatonin is no longer able to correctly steer the nightly insulin release. Fibromyalgia is a chronic painful condition and affects around four percent of the population. A new study discovered that low melatonin levels can contribute to this illness. The word “fibromyalgia” comes from three different words: the Latin word “fibra,” which means fibrous tissue, the Greek words “myos,” which means muscle, and “algos,” which means pain. In reality, muscle, tendon and ligament pain are the main symptoms of this illness. However, muscle pain is not the only symptom. People who are affected by this illness often also experience changes that cause the nervous system to continue to transmit and process pain, even if the stimuli are not present. Other symptoms include fatigue, depression and sleeplessness. There are multiple studies regrading melatonin and pain. Melatonin is not only the hormone that helps direct our innate circadian rhythm or biological 24-hour clock, but it also serves as a pain regulator. The hormone acts indirectly on opioid receptors, which are the same receptors that pain medications target. Even though it has long been assumed that sleeplessness and fatigue associated with the illness can be ascribed to the constant experience of pain, lack of melatonin is now also suspected of contributing in the following two ways: Its effect on circadian rhythm such as sleeping behavior and its effect on pain through opioid receptors. As a matter of fact, a recently conducted group of experiments has discovered that taking melatonin supplements can significantly improve a number of FMS symptoms. Alzheimer’s is a progressive neurodegenerative disease which brings about memory loss and changes in thinking and behavior that become worse over time. Patients with Alzheimer’s have far lower melatonin levels in comparison with control groups, which leads to the assumption that this hormone could play a positive role in the treatment of this illness. Several clinical studies have focused on the use of melatonin and how several symptoms of Alzheimer’s can be alleviated through it, including sleep disturbances and cognitive impairment. The SCN (suprachiasmaticus nucleus), a core area in the hypothalamus, determines the circadian rhythm mainly through the stimulation of melatonin production and is also counter-regulated through melatonin. If the SCN only reluctantly reacts to light among Alzheimer’s patients, then direct administration of melatonin supplements can be helpful. In a study conducted in 2012, melatonin was used in connection with physical movement. This treatment reduced cognitive damages and oxidative stress in the brain, which are factors that contribute to Alzheimer’s. Another therapy that combines bright light in the morning with oral administration of melatonin in the evening shows itself beneficial for the improvement of awake times and activity of patients with Alzheimer’s that are housed in medical institutions. Several researchers have also reported that music therapy increases melatonin secretion, which is also a therapy used among patients with Alzheimer’s. Parkinson’s is a widespread neurodegenerative illness with no cure. Parkinson’s is caused by a degeneration of certain neurons in the brain that lose their capability to produce dopamine, a neurotransmitter that supports cognitive function, emotional control, movement coordination and a number of other important functions. The symptoms begin slowly, years before the motor symptoms become apparent and lead to a diagnosis and usually include sleep problems and loss of smell (anosmia). Although Parkinson’s is mainly connected with the lock of dopamine the brain, melatonin also seems to play a role. This could explain why sleep disturbances go hand-in-hand with this illness. Throughout the progression of Parkinson’s, the melatonin receptors in the brain decrease. Timely administration of melatonin can help those suffering from Parkinson’s to sleep well and also to protect their brains from further degenerative changes. Numerous studies indicate that the stabilization of sleep cycles through ingestion of melatonin should be a standard component of the treatment for this illness. People with Parkinson’s that take melatonin show fewer and weaker symptoms than those who do not. For a long time this was ascribed to the healing nature of sufficient sleep, but we now know that melatonin is not only a sleep-inducing hormone, but also a neuro-protecting substance which can stop or reduce damage, as well as encourage regeneration of nerve cells in the brain and bone marrow. Although this is not being studied intensely, it is believed that the neuro-protective properties of melatonin can slow the advancement of Parkinson’s disease, especially through slowing neurological damages which cause the progressive loss of neuromuscular function. Epilepsy is a disruption of the electrically-conducted nerve cells in the brain that cause affected people to suffer from seizures and/or temporary loss of consciousness. Other forms of epilepsy and seizures are caused through oxidative stress and free radicals. A new study has discovered that a connection between sleep disruption and epilepsy exists, which once again points to the fact that the circadian rhythm has influence over the occurrence of attacks. Years ago, researchers already discovered that these attacks often followed a 24-hour rhythm. This means that they occur every day at about the same time. Scientists believe that this can partially ascribed to the circadian rhythm of our brains. Sleep disruption is very common among children that suffer from attention deficit/hyperactivity disorder (ADHD). A current study is researching the long-term consumption of melatonin and its effectiveness in helping children with ADHD. According to statements from parents, 88 percent of the treated children showed improvement with their sleep disturbances. 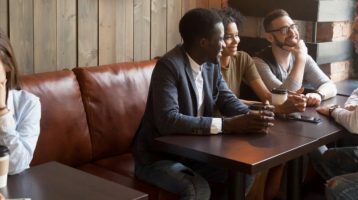 Additionally, 71 percent indicated an improvement in behavior, and 61 percent reported an improvement in mood. Schizophrenia is another neuro-psychiatric disruption that has been found to be accompanied by disturbed circadian rhythms and decreasing melatonin levels. Due to these anomalies, it is assumed that melatonin could help with the treatment of this illness. It was also discovered that the hormone increases the effectiveness of antipsychotic drugs and can decrease their side effects. A study with schizophrenic patients used melatonin in conjunction with the popular antipsychotic. Another patient group which participated in the same study also received this antipsychotic drug, but was only given a placebo in accompaniment instead of melatonin. Those participants that received melatonin demonstrated fewer side effects like weight gain, as well as a lower PANSS value, which measures the severity of schizophrenic symptoms. Depression is an illness that should be taken seriously and is accompanied by symptoms such as lack of energy, hopelessness, negative thoughts, sleep disturbances, and in the worst cases thoughts of suicide. Physical symptoms include daytime drowsiness, sleeplessness, muscle pain, gastrointestinal ailments, headaches and other unspecific sensory disturbances. People who suffer from depression almost always exhibit a functional disruption of the serotonin system. Serotonin is one of the most important neurotransmitters/messenger substances in the human body and is often also described as the happiness hormone, as our emotional wellbeing is greatly influenced by our serotonin levels. A lack of serotonin, especially in the brain, allows our mood to worsen and ensures for a poor state of mind. The fact that serotonin is used in the evening to produce the night hormone melatonin explains why lack of serotonin can also lead to poor sleep. There are studies that demonstrate that melatonin can at least improve several symptoms of depression, especially those that are related to sleep disturbances. As a result, patients with severe depression were treated with melatonin. Melatonin was effective in improving the sleep quality of the affected persons. Additionally, positive results can be seen in patients who suffer from seasonal depression. Another study reports lower levels of depression in patients with winter depression that were treated with a low dose of melatonin in the afternoon. Even small doses of melatonin can improve the synchronization of the inner clock and the biological day rhythm with the changed light proportion during the winter, making a marked improvement in mood possible. While melatonin has already been used for decades for the treatment of sleeplessness and other sleep disturbances, it may also be valuable for the treatment of cancer. In many ways cancer deals with correct timing. Normal cells grow and die due to extremely-regulated processes that are predetermined by our clock genes. If these genes show any mutations or otherwise aren’t functioning correctly, then the cells can start to grow uncontrollably and kill other healthy cells in the vicinity. New research suggests that melatonin undermines the growth of tumors, while at the same time it lessens the side effects of other cancer therapies. To be more specific, those people who are not able to sleep at night show a higher risk for cancer, which is why the World Health Organization has classified shift work as carcinogenic (encouraging cancer). Although the connection between a broken circadian rhythm and cancer is clear, the mechanism of the heightened risk for cancer was not understood until now. A new meta-analysis of chronobiological studies suggests that melatonin attacks cancer at its foundation by interrupting the biochemical processes used by tumors to grow. Melatonin can keep cancer cells from proliferating by causing apoptosis (programmed cell death) and cutting off blood supply to the tumors. It is also known that this hormone acts as an antioxidant substance which improves the immune system, which also hinders the development of cancer. Finally, too little melatonin can lead to high cytokine levels (a natural molecule that is connected with cancer). When administering melatonin to lab animals that suffered from tumors, then the tumor growth slowed significantly. Studies also show that human cancer patients can tolerate other treatments more easily when taking a melatonin supplement. In the near future this wonder hormone could become part of the standard treatment for cancer. Melatonin could also be proven to be helpful against different types of headaches and migraines. The properties of melatonin that help in the fight against headaches include the following: anti-inflammatory, inhibiting of excessive dopamine release, membrane stabilizing and increasing of GABA (the most important inhibiting neurotransmitter of the brain). Additionally, it acts as protection against free radicals. According to studies, the hormone can even prevent migraines. The exact mechanism is not known at this time, but there are many connections between the circadian rhythm and this type of headache. Most people who suffer from migraines get them almost at the exact same time every day, which leads to the conclusion that circadian components play a role. Additionally, a gene that is connected with circadian rhythm disturbances can also be one of the main causes for this type of headache. It is possible that taking melatonin can kill two birds with one stone by inhibiting migraines while also encouraging a healthy sleep-wake cycle. Improvements could also be reached through melatonin in the treatment of cluster headaches and idiopathic stabbing headaches. Cluster headaches are characterized by strong one-sided headaches. Teary eyes or a running nose are known as attendant symptoms. A lack of melatonin secretion can lead to the occurrence of pain attacks at night or even during the day. The frequency of headaches could be reduced significantly with the help of melatonin for some patients. Melatonin proved itself more effective than other pain killers for idiopathic stabbing headaches (spontaneously occurring stabbing pain which lasts several seconds), and it also showed fewer side effects. Melatonin is not only produced in the pineal gland, but also in the retina. The hormone, which decreases among the elderly, is involved in the control of eye pigmentation. It helps to regulate the amount of light that reaches the photoreceptors of the eye, among other things. The retinal pigment epithelium (outer layer of the retina) is also independently protected from oxidative damages. This eye illness, which destroys the most important, central part of the retina, is among the most common causes for blindness in adults. According to studies, the use of melatonin can delay the progression of the disease and protect the retina. Whether melatonin is only acting as a radical catcher, or whether there are also receptor conveyed impacts, is currently still being researched. Glaucoma of the eye is understood to be a number of different eye illnesses which can lead to loss of optical nerve fibers. The main cause of this illness is heightened pressure in the eye chamber, which is often linked to low pressure in the blood vessels that supply the retina. If the illness is advanced, it can lead to erosion of the pupil, and wherein the outer nerves of the retina are damaged first with the inner nerves following gradually. The result of this is visual field deficits—from the edge working inward—which can ultimately cause complete blindness. Research has shown that oxidative stress in glaucoma can also cause the loss of photo receptors. In this case, melatonin can be effective by decreasing the pressure within the eye, plus protecting the photoreceptors from free radicals. 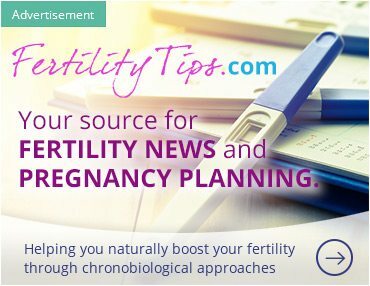 A recently published study from the University of Texas suggests that healthy melatonin levels are necessary for optimal fertility. Just like any other cells in the body, ovules are susceptible to free radicals that can cause DNA damage. In this case, melatonin acts as an antioxidant in the ovaries by removing free radicals and preventing cell damage. An additional chronobiological study published in the Journal of Medicine and Life found that melatonin is of significant importance for embryonic and fetal development. Melatonin levels rise throughout pregnancy at a constant rate. Since this hormone is transported through the placenta unchanged, it can be detected in both the amniotic fluid as well as the developing fetus. A fetus already has melatonin receptors in its brain long before it has been fully formed. The melatonin from the mother has different functions for the fetus. On the one hand it relays information about light and dark cycles to the brain of the fetus, which helps the child to build its own circadian rhythm. On the other hand it is assumed that melatonin also plays an important role in the activation of certain genes that are of importance for correct development from conception through birth. 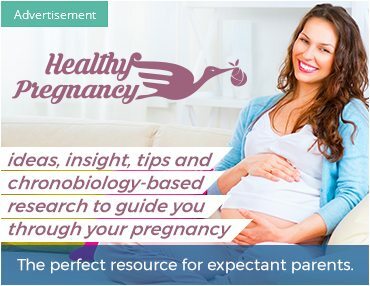 Because of this, many different scientists recommend melatonin administration for pregnant women, especially with the presence of sleep disturbances, as only positive effects for the child have been proven. The most thoroughly researched and documented effect of melatonin is its influence on the sleep-wake rhythm. Melatonin is suited for both falling asleep and staying asleep. The hormone has proven itself with a number of sleep disruptions such as jetlag, shift work, delayed sleep onset syndrome, or in elderly people with sleep problems. Through it, sleep efficiency and total sleep time can be significantly improved. Chronic sleep disturbances that present in three out of seven nights on average increase the possibility for heart attack, stroke, diabetes, blood vessel illnesses and problematic obesity. A team from the University of Pennsylvania analyzed the collected data from more than 130,000 people (average age of 46) for the first time and was able to draw the following conclusion: Minimal disruptions when falling asleep or during sleep, but also when sleeping too much, can make a huge difference. The risk for obesity goes up by 35 percent, 54 percent for diabetes, and 98 percent for cardiovascular illnesses. The risk for stroke also doubled. Researchers at Harvard Medical School are concentrating on the 90 to 120 minutes each night that supply healthy people with deep sleep. 784 people with normal blood pressure were consulted, who consented to monitor their sleep phases at home with the help of a small machine. The experiment took place over a time period of 42 months. Deep sleep generally makes up for about 25 percent of a night’s sleep. Brain activity in this phase is weakened and heart rate and release of stress hormones are reduced. As a rule, blood pressure values during this time are 10 points lower than normal. Nightly pressure reduction is seen as extremely positive. However, a condition in which the pressure stays elevated is seen as a risk factor for heart illnesses. The result was that the men who demonstrated a shorter regeneration phase had reacted with heightened blood pressure of dangerous proportions (several of those observed only reached four percent, or 15 minutes, of the needed deep sleep). As a rule, most of them exhibited a broken and shortened sleep. This group should benefit from melatonin supplementation. The earliest studies in chronobiology have shown that melatonin supplements can help treat circadian sleep disorders, as well as solve a number of sleep-related problems. However, not all melatonin supplements are created equal. The manner in which melatonin is released in these supplements can have an incredible impact on the physiological values and effects of the hormone. Some people are of the opinion that melatonin does not work as dramatically as they expected. They then often falsely assume that melatonin is not useful in the treatment of sleep problems, but in reality they have perhaps simply chosen the wrong kind of melatonin supplement. Furthermore, it can be held that melatonin does not work like a classic hypnotic, but rather as a regulator of the sleep-wake rhythm. For this reason the effect can only be evaluated at the earliest in the morning when you can ask yourself how fit you are and whether or not the sleep was restful, how long it took for you to fall asleep and how often you woke up. The most common type of melatonin supplements possess either a fast or a slow release of the hormone. A quick release of melatonin leads to a rapid rise of the melatonin level, which begins to fall again after one to two hours. People who take this type of supplement will find that they become drowsy quickly, but have difficulty sleeping through the night or simply don’t have quality sleep. On the other hand, slowly-released melatonin requires hours until it induces sleep and does not let up until the early morning hours. People who chose preparations that enable a slow release of melatonin can experience problems falling asleep due to the starting low level of melatonin, followed by difficulties waking up, as the morning levels are still unnaturally high. A well-timed release of melatonin (chronobiological correctly-combined melatonin or pulsing melatonin) offers a better opportunity to maintain a natural circadian rhythm. A time-controlled release of melatonin is a supplement that is formulated so that the hormone is released in exactly the amount that imitates a healthy, natural melatonin level. It is released in steps so that the melatonin level rises quickly after taking the supplement, and then stays on that high plateau for several hours. The levels then quickly fall again toward morning to enable waking up. This imitates healthy, normal circadian rhythm cycles which are associated with restful sleep. Research in the area of chronobiology has shown that maintaining the melatonin cycle is not only important for restful sleep, but also for general well-being. For this reason a growing number of health experts are recommending the well-timed release of melatonin as the ideal supplement. This type of supplement is much closer to the natural melatonin present in a health brain. Ensuring a healthy circadian rhythm is important for health, which is why a well-timed melatonin supplement is, as a rule, the best option. With circadian rhythm disturbances such as jetlag, shift work, or a delayed sleep onset syndrome, sufficient melatonin is produced, but at the wrong time. In this case the use of both a well-timed melatonin formulation or a fast-releasing melatonin formulation is an option in order to reprogram the natural circadian rhythm to the desired nightly rhythm. This type of therapy is called chronotherapy, as it does not replace melatonin, but rather regulates its endogenous release. If a more-or-less pronounced melatonin deficiency is the cause for sleep disruption, then the melatonin must be supplemented, for example with the help of hormone replacement therapy. To do this, a chronobiologically-optimized pharmaceutical formula must be used which releases melatonin for six hours. In this case, the pulsing form described above should be used.